What are the health risks associated with a 5G network? 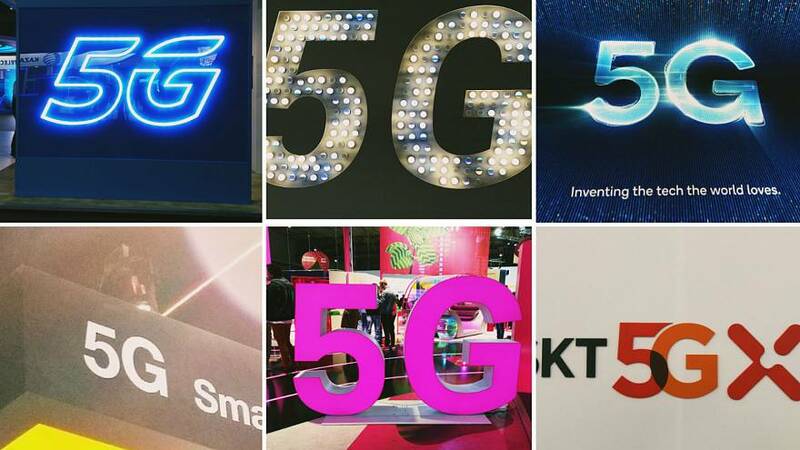 At the Mobile World Congress in February, industry leaders touted 5G as the next mobile revolution, with experts saying the network could be rolled out as early as next year. Its benefits are clear: the improved speed and latency the network enables the creation of smart cities, remote surgeries, and super-fast downloads, among countless other functionalities. But one question remained largely unaddressed — what are the health risks, if any, associated with 5G? A group of 170 scientists have flagged their concerns about the technology to the European Union calling on the bloc to review exposure limits, citing health risks for European citizens. To account for the increase in the volume of information that will be transferred by 5G networks, more spectrum at higher frequencies will be required, a spokesman for the World Health Organization (WHO) told Euronews. The highest frequencies used will be around ten times higher than those used by current network technologies — currently up to a few tens of GHz — which WHO said have already been used for many years in appliances like point-to-point microwave links. International guidelines exist up to 300 GHz, well beyond the maximum frequencies under discussion for 5G (a few tens of GHz). While the International Commission on Non-Ionizing Radiation Protection (ICNIRP) is currently revising its radiofrequency guidelines, it has presented a draft of advice relating to high frequency (from 100 kHz to 300 GHz) at a public consultation. "The critical effect of high-frequency exposure relevant to human health and safety is heating of exposed tissue," it reads. "High-frequency fields can penetrate into the body (the higher the frequency, the lower the penetration depth) ... this results in friction and thus heat." According to the ICNIRP, the body can accommodate a small increase in heat, in a similar way that excess body heat is dissipated when doing sport. But above a certain level, referred to as the "threshold", which depends on the duration of exposure, high frequency and the accompanying temperature rise can provoke serious health effects, such as heatstroke and burns. ICNIRP said the acute and long-term effects of high-frequency exposure below the thermal threshold have been studied extensively without showing any conclusive evidence of adverse health effects. Have the effects of 5G waves on our health been studied enough? The issue with the question of what risk 5G poses to human health is that "nobody knows", Dariusz Leszczynski, an expert in molecular biology and Adjunct Professor at the University of Helsinki, Finland, told Euronews. Specifically, the question mark lies over the effects of millimetre waves, also known as extremely high frequency, that 5G will tap into: "We don't know what they will mean in practice for our immune systems." "High-frequency waves only penetrate a few millimetres into the body and this is being used as a 'no worries' card by industries — but our skin is the biggest organ in the body and is linked to numerous things including immune response," Leszczynski explained. There is no concrete evidence of health damage. However, Prof Dr Alexander Lerchl from Jacobs University Bremen told Euronews: “There are many studies that have been conducted on the subject but they did not provide any evidence of health risks." He said calls for further studies were precautionary: "As a scientist, one can never prove the non-existence of effects... however, this call has a more precautionary nature, because there is no concrete evidence of health damage." "Exposure to radio waves is not new and health-related research has been conducted on this topic over several decades," said the WHO spokesman. Given 5G devices and networks are yet to be implemented, the increase in overall exposure to radio waves when it is added to an existing network or in a new area is unclear, it added. Should the overall exposure remain low relative to the international exposure guidelines provided by ICNIRP, "there should be no consequences for public health". WHO said it does not perform research nor fund research into the technology but will "review the scientific evidence of 5G when the technology is deployed and relevant published health data are available". Where does the risk come from? 5G antenna will be on every car and lamp post in smart cities and sensors will also need to be fitted in houses, as millimetre waves can't pass through walls and windows, Leszczynski explained, but this is not where most radiation is likely to come from. "Like now, with 3G and 4G networks, most radiation will come from cell phones," he said, "Cell towers will provide minuscule radiation compared to this". "Exposure from lamp posts will also be low unless you get close," he added. The European Council set out basic restrictions and reference levels for the exposure of the general public to electromagnetic fields in a recommendation, however, these are non-binding for EU Member States. The primary responsibility for protecting the public from potentially harmful effects of electromagnetic fields remains with the Member States, including the choice of measures to be adopted based on age and health status, the European Parliament said in 2018. It has, however, set specific rules intended to protect workers from risks arising from exposure to electromagnetic fields in a directive, which Member States were required to implement in 2016. The group of 170 scientists from all over the world in July last year appealed to European Union institutions for 5G technology to be blocked due to: "Growing concerns about the increase in radiofrequency radiation and the related health risks for European citizens." They cited a study carried out by the US National Toxicology Program which they said showed a statistically significant increase in the incidence of brain and heart cancer in animals exposed to electromagnetic fields, even at levels below the current guidelines of the International Commission on Non-Ionizing Radiation Protection (ICNIRP). Among other things they also called on the EU to define new "maximum total exposure standards" from the point of view of health safety for all wireless communications within the EU. The EU responded that independent updates from its Scientific Committee on Health, Environmental and Emerging Risks (SCHEER), which are based on guidance from ICNIRP, did not provide any scientific justification to revise current limits. "It would not be timely to undertake such a study before the results the ICNIRP’s review of its guidelines have become available," it added. Leszczynski said the best way for people to protect themselves from the unknown risks surrounding the 5G rollout was the same advice as for 3G and 4G — to limit exposure. "Use your phone as much as you like, but don't use it when it's not necessary," he added. It is probably better to be cautious.